We are pleased to introduce Kirsten Huhn as our new Collections Analysis Librarian. Kirsten started with the Dal Libraries on February 4. Prior to joining the Dal Libraries, Kirsten was the Head of Acquisitions and Serials at Concordia University Library in Montreal. She has also worked as a librarian at Jacobs University Bremen in her native Germany. Kirsten has extensive professional experience in Collection Services, specifically in the areas of acquisitions, collection management of serials and electronic resources, and budget management. The Collections Analysis Librarian is a new position in the Dalhousie Libraries. In this role, Kirsten is supporting the acquisition, assessment and integration of the Libraries’ print and electronic collections. Working as part of the Resources team, she is closely involved in collection development and management operations. In addition to her role in the Resources team, Kirsten serves as a subject liaison to Earth Sciences and Environmental Sciences. Kirsten is a strong believer in user-centered service and is looking forward to supporting the academic mission of Dalhousie, through her role with the Dal Libraries. 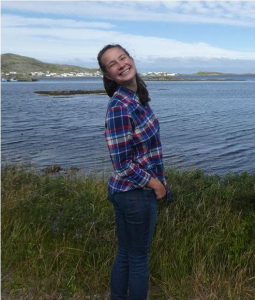 Kirsten has a Master of Library and Information Studies (MLIS) from McGill, and a Magister Artium (M.A.) from Leipzig University. In 2000, she was a visiting student in the Graduate Studies program at Dalhousie. We’re so happy to welcome Kirsten back to Dalhousie and Halifax. We are pleased to announce that Brian Lesser is the new Manager of Operations in the Academic Technology Services (ATS) unit, which is the Dal Libraries department responsible for managing technology in the libraries and classrooms, video conferencing services, and Brightspace. This role is a new one for the Dalhousie Libraries. Brian will be responsible for overseeing the Libraries technical infrastructure, provide management and leadership to the operations team (system administrators, developers, and statistical computing), will be responsible for the implementation of technology-enabled learning projects, and will have ownership of the academic software lifecycle. Brian is a two-time Dalhousie alumnus, with a BA and a Master of Library and Information Studies (MLIS). 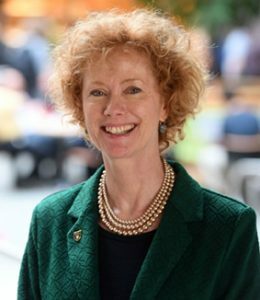 He was awarded the Louis Vagianos Medal on convocation in 2018 for “the capacity for blending originality with practical thinking and the courage to seek solutions to professional problems outside the mainstream.” The first winner of this award was our very own University Librarian, Donna Bourne-Tyson. 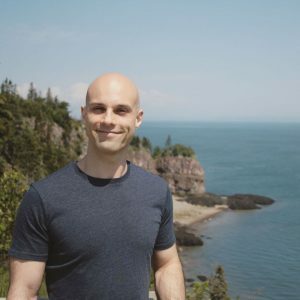 A Nova Scotia native, Brian started his career in academic technology at Acadia University as a student assistant and pedagogical researcher running summer technology camps for secondary school teachers and students. His career at Dalhousie began in 2004 as a student assistant, then in 2006 he became a Systems Administrator with the former Academic Computing Services department of central IT services. Brian joined the Dalhousie Libraries in 2013 when Academic Computing Services merged with the Dalhousie Libraries’ ITS, now known as Academic Technology Services. His early career had focused on instructional technologies and eLearning, but since joining the Dalhousie Libraries and pursuing an MLIS degree, Brian has developed a strong interest in library systems and library services, including a keen interest in user experience, service design, and research data management. Donna Bourne-Tyson, University Librarian of Dalhousie, has won the prestigious Ken Haycock Award for Promoting Librarianship from the Canadian Federation of Library Associations, presented at the OLA Superconference in Toronto on January 30. Donna received this award for her significant contributions to the field of librarianship, to which many of her colleagues at Dal can attest. February 4, 2019 – The Canadian Association of Research Libraries (CARL) would like to congratulate current CARL President, Donna Bourne-Tyson, on receiving the Ken Haycock Award on January 30th at the OLA Superconference in Toronto. This award is conferred to an individual who has made significant contributions to the public recognition and appreciation of librarianship through professional performance, teaching, and/or writing. Ms. Bourne-Tyson was honoured with this award for her firm commitment to personal membership in professional associations and her remarkable range of Board roles in regional, national and international association and consortia, and for founding and shepherding multiple new organizations. “Donna believes and lives a philosophy that working together is much more effective than solo or siloed action. Through her collaborative view of the library world, Donna has brought together people, institutions, and even associations to effect consortial action. And through this, she has had long-reaching impact. Donna has quietly and pragmatically helped shape the library association landscape in this country,” said Paul Takala, Chief Librarian, Hamilton Public Library, during the award ceremony. CARL is pleased to have nominated Ms. Bourne-Tyson for the award, in recognition of her association engagement and her leadership and dedication as an ambassador and role model for librarianship. The award includes a $1,000 reward, which Ms. Bourne-Tyson has graciously donated to the Canadian Federation of Library Associations. We are pleased to welcome Morning Star Padilla to the brand-new role of Indigenous Services Librarian with the Dalhousie Libraries. Morning Star Padilla (Diné/Apache) has a Master of Arts degree in Community Development from Clark University and Master of Archival Studies and Master of Library and Information Studies degrees from University of British Columbia. 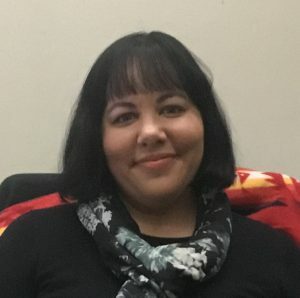 She brings a background in social science research, community engagement, and Indigenous cultural/intellectual property and language reclamation. Morning Star will spend time in both the MacRae Library on the Agricultural Campus and in the Killam Library on Studley Campus, but she will be available to work with people from all campuses. She will work closely with faculty, researchers, staff, and students to support learning and research on Indigenous topics in all disciplines. Morning Star will also coordinate reference support, programming and other services to users of Dalhousie’s National Centre for Truth & Reconciliation Hub in the MacRae Library. “We have identified Indigenous Services as a priority within the Dalhousie Libraries and I am looking forward to working with Morning Star to develop new services and initiatives in this area. We envision these services extending not only to our Indigenous and non-indigenous students, staff and faculty but also to our local Indigenous communities,” said Elaine MacInnis, Associate University Librarian Services and Head, MacRae Library. “I am happy to be here in Mi’kma’ki and to take part in the positive work that Dalhousie is doing towards building its relationship with Mi’kmaq and other Indigenous peoples,” said Morning Star. Guy LeLievre has joined the staff at the Dalhousie Libraries working both in Access Services and in the Archives. 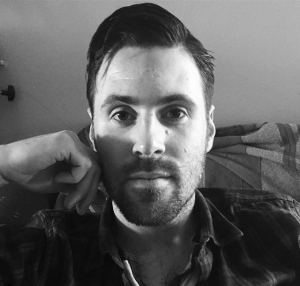 He is a graduate of NSCC’s Library & Information Technology diploma program, as well as Cape Breton University, from which he graduated with a Bachelor of Arts in English and a Certificate in Theatre Arts. Guy has worked at the Woodlawn Public Library and the Health Sciences Library of the Nova Scotia Hospital, bringing a wealth of varied experience. He also is no stranger to Dalhousie and the Dal Libraries, having previously done his practicum at the Sexton Design & Technology Library while he was an NSCC student. In 2017, he also worked as a contract project assistant cataloguing the Shirreff Hall Library, an undertaking overseen by the Dalhousie Libraries. During his free time, Guy likes to read, listen to podcasts, watch movies and catch up on some of his favorite TV shows. Daryl has significant experience working in academic libraries and archives, having worked as an Access Services Assistant at Mount Allison University for six years, where he assisted in directing the student assistants and maintaining the stacks. He holds a BA in psychology from Mount A and an Advanced Diploma in Human Resources Management from NBCC. He is currently eyeing an MLIS from Dal to add to his collection. 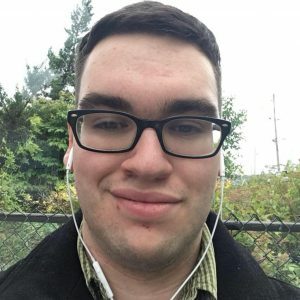 In addition to Daryl’s previous experience in libraries and archives, he has also worked in human resources, as a psychology research assistant and as a freelance animator and web author. During his free time, Daryl likes to cook and bake, lift weights in his home gym, and keep up with the latest season of TV. He is working on frying the perfect donut for a potential stint as a vendor at the Truro Farmer’s Market. We are pleased to welcome Alex Wojcik to the Dalhousie Libraries. 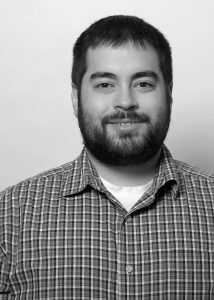 Alex is an experienced GIS Developer, having worked in municipal and corporate environments. Alex is a Dalhousie alumnus, with a degree in psychology. He also holds a diploma in Geographic Sciences with a specialization in GIS from the Centre of Geographic Sciences (COGS) in Lawrencetown. He comes to us with program development skills and is currently pursuing a computer science degree to compliment his GIS background. In addition to working for MapDev Technology Solutions, the Department of National Defense and SEG Consulting with clients that included Nova Scotia Power and Halifax Water, Alex has volunteered his skills to plan a habitat suitability analysis for wood turtles. Wood turtles are considered a vulnerable species in Nova Scotia. Alex is part of the Academic Technology Services (ATS) team and also works with the GIS team, both within the Dal Libraries. He will be creating programs for GIS that will perform common GIS processing tasks, as well as developing apps that will support the collection and use of geospatial data. Alex will also be working on our website, libraries.dal.ca; our data repository, DataVerse; and our digital preservation system, Archivematica. Laura Little is an intern in the Killam Memorial Library. What brought you to the MLIS program at Dal? I decided to return to Halifax because the quality of life here is unparalleled. The students, staff and faculty possess an uncanny ability to excel in their field while exuding that famous east coast charm. I graduated with a combined BSc with Honours in Biology and the History of Science and Technology. My favourite things to study were microbiology, algae, and the Darwinian Revolution. What drew you to the internship at the Dal Libraries? I wanted to be able to work with students to help them succeed in school. Meeting with students, learning about their goals and helping point them in the right direction is the best part of my job. What have you been doing during your internship? As an intern at the Killam Library, I’ve been working closely with our Biology subject liaison librarian to promote Science Literacy Week in the fall. I’m able to create displays and resources to make science more exciting and accessible. During the school year when I’m working part-time at the reference desk, I get to apply the things I learn in class to help students with their research and assignments. I got my first literary tattoo this year! We are pleased to announce Melissa Rothfus is the new Scholarly Communications Librarian for the Dalhousie Libraries. Melissa worked both as an intern and as a term librarian for the Dalhousie Libraries and we are thrilled to be welcoming her back. 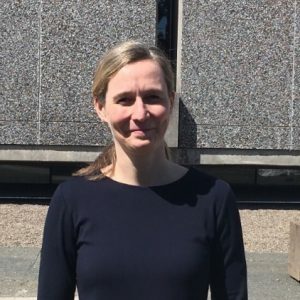 In addition to her work with the Dalhousie Libraries, Melissa has been a research associate with the Nova Scotia Health Research Foundation and with CNODES (Canadian Network for Observational Drug Effectiveness Studies). Melissa comes to us with an extensive teaching and research background. Prior to becoming a librarian, she obtained a PhD in Classics and worked as a Classics professor at several universities in History and Classics departments. She is a graduate of the Dalhousie’s MLIS program. As the Scholarly Communications Librarian, Melissa will focus on programming that promotes education throughout the community on issues such as open access publishing and methods of tracking research impact. In addition, Melissa will also be the subject liaison for the School of Nursing. She is based at the W. K. Kellogg Health Sciences Library. We are pleased to announce the appointment of Michelle Paon as Interim Associate University Librarian and Head of the Sexton Design & Technology Library. As Associate University Librarian – Resources, she oversees the Libraries’ acquisitions budget, and works closely with the Resources Management Librarian and library staff across the system who select, acquire and provide access to relevant scholarly resources in a variety of formats. 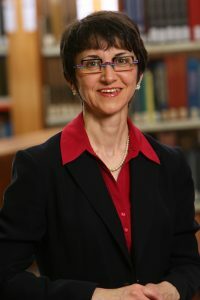 As Interim Head of the Sexton Library, she oversees the provision of library resources and services to faculty and students in the Faculty of Engineering and the Faculty of Architecture and Planning. 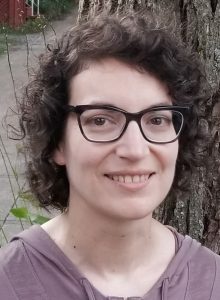 Michelle Paon has been a science librarian at the Dalhousie Libraries since 2002, supporting faculty and students in the study of biology, the environment, oceanography, and marine management, and for shorter periods, psychology and neuroscience, sustainability, and Indigenous issues. Michelle was actively involved in the establishment of the DalSpace online research repository and the Killam Library Learning Commons – at the time, both ground-breaking projects for a Canadian research library. She has served on the Curriculum Committees of the Dalhousie Faculty of Science and College of Sustainability. In recent years, she has partnered with colleagues at the Dalhousie Writing Centre to provide integrated research-writing services for students and to conduct related research. Michelle has also provided mentorship and inspiration in the Dal Libraries as a leader in the delivery of effective liaison librarian services. Michelle holds a Master of Library and Information Studies from Dalhousie University and a Bachelor of Science (Biology) from St. Francis Xavier University. She is a member of the Atlantic Provinces Library Association and is a past President and life member of the Nova Scotian Institute of Science. Her research interests include collaborative service initiatives, open access, information literacy, and environmental history.